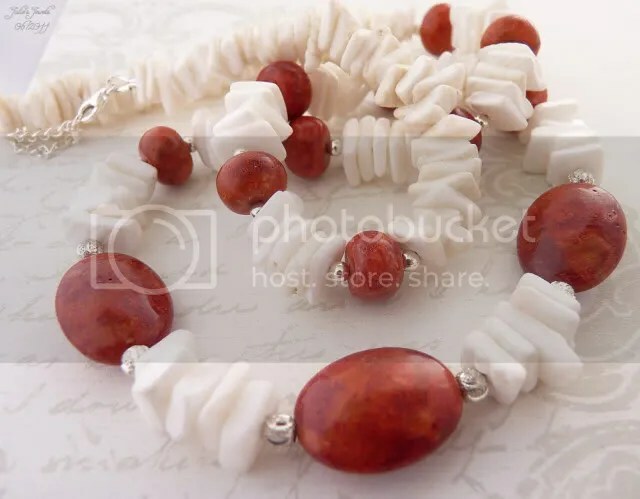 Do you like Red and White together? 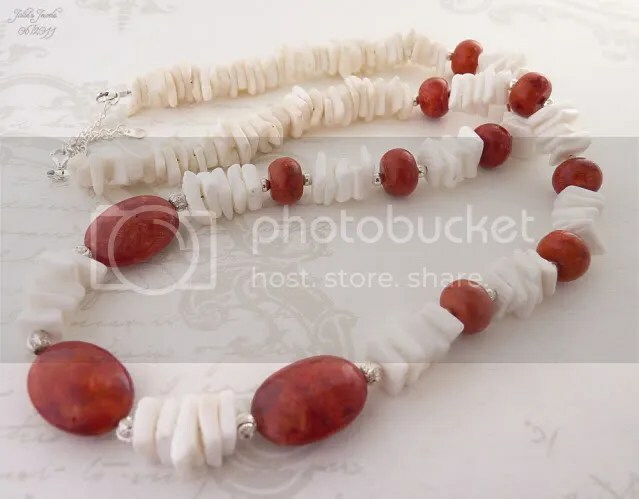 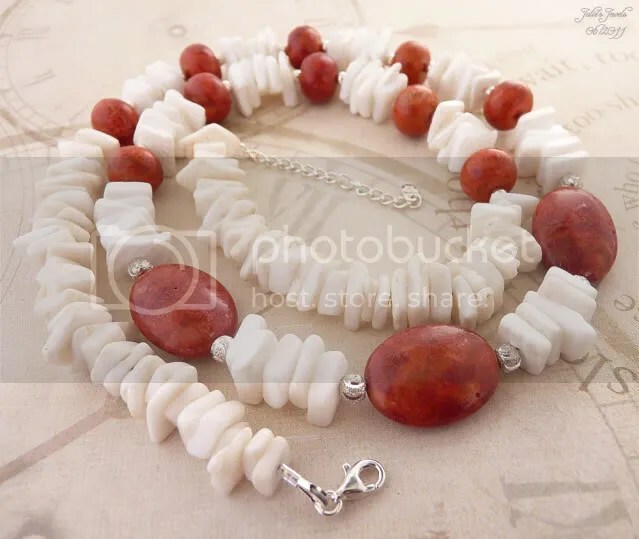 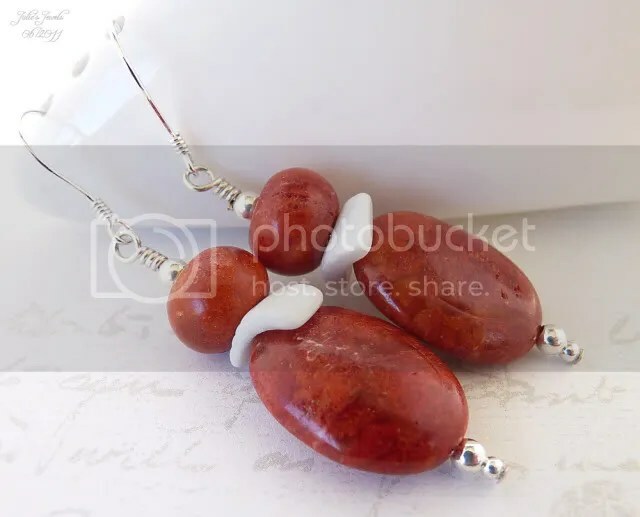 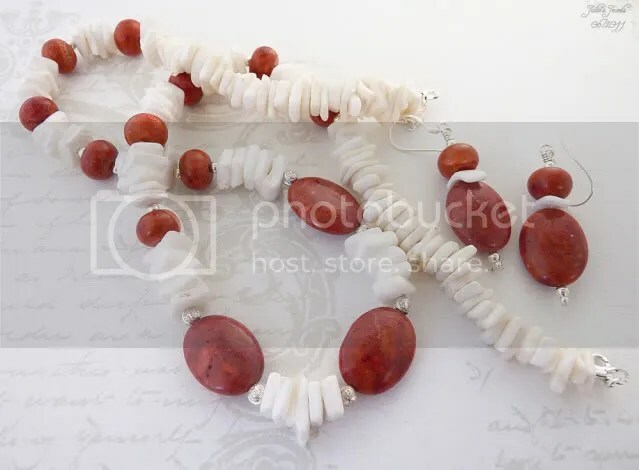 If so you may like these two items, a necklace and matching earrings created with Red Coral and White Shell pieces. 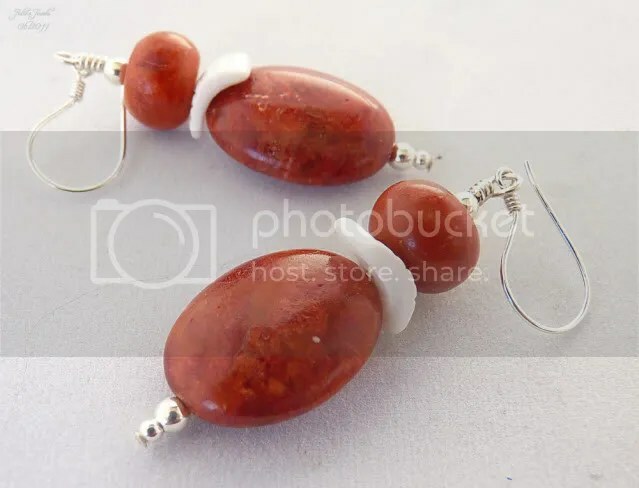 Of course they both have some Sterling Silver touches.